Outdoor folks are suckers for dogs. 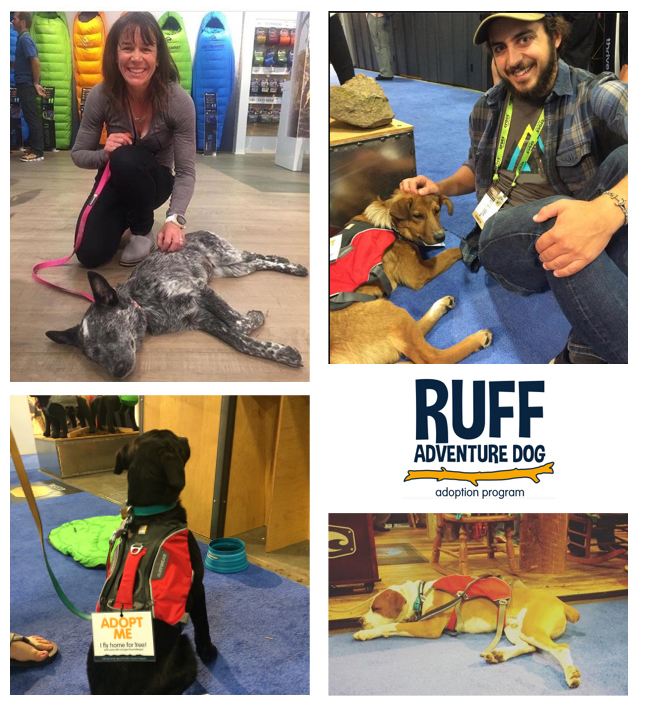 So when Ruffwear decided to team up with Best Friends Animal Society and its Salt Lake City-based partner Rescue Rovers to do dog adoptions on the show floor at Outdoor Retailer, there was no doubt the program would be a hit. Fifteen lucky pooches went home with new human friends at this year’s OR Summer Market, Ruffwear officials said. Adoption and air travel fees were covered by Ruffwear through its two-year, $50,000 partnership, which since May 2015 has matched up 50 homeless dogs to new homes. These aren’t just any dogs; Ruffwear and Best Friends worked to identify active pups that will be well served by their human companions’ active lifestyle. No slouching around on the couch! 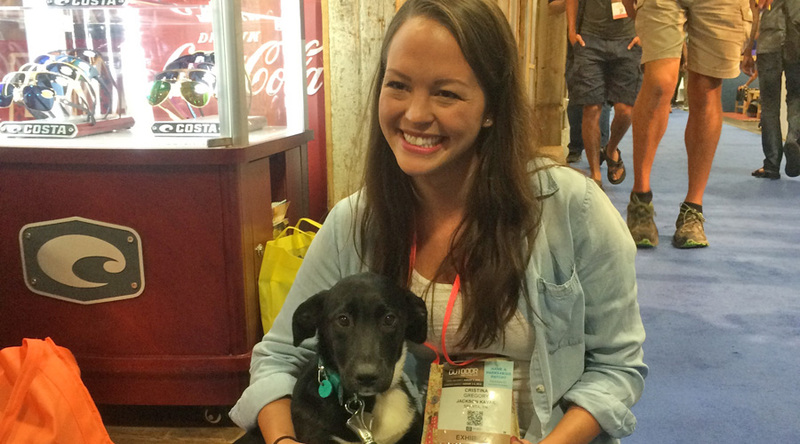 And Ruffwear wasn’t the only one helping get dogs adopted at the show. 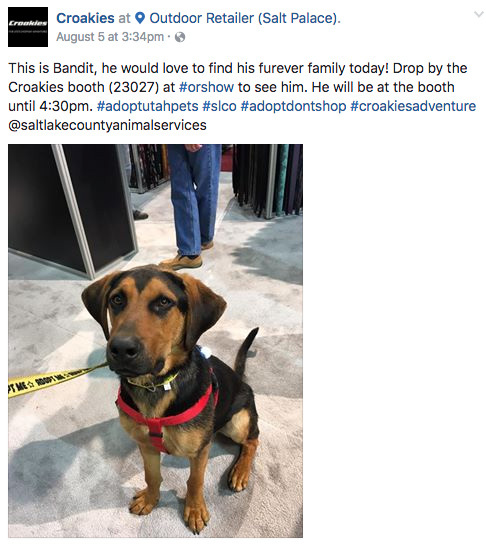 This year Croakies followed suit, partnering with the Salt Lake County Animal Service. And there’s a good bet we’ll see more at the next show. Brands can spend thousands of dollars on booths to try and get retailers to stop by … but really … all it takes is a cute dog.